Why should you be passionate about what you write? People tell you when you start writing you need to write about what you know--or if not you'd better do a lot of research to familiarize yourself with the subject. I agree, but I would take it a step further. You need to be passionate about what you write. If you want your readers to care, you need to care--enough to convey that to your readers. That sounds simple, but it isn't always that way. But when you are passionate about your characters and plot, it comes across in your story. It helps you to keep focused on what you want to write. It's a goal and motivation all wrapped up in one. What do I mean? When I was writing my series called A Town Called Hope (His Holiday Family, Love Inspired, December 2011), I wanted to pay tribute to the men and women who help others recover from a disaster--in this case a hurricane. I grew up as a teenager in Biloxi, Mississippi, which has been hit with several major hurricanes since the time I lived there. I've seen my hometown go through a lot over the years. I've seen neighbors helping neighbors, people work long hours to rebuild their town, making sacrifices for others. After Katrina I began toying with an idea, which I finally wrote in my new series. I wanted to honor towns like Biloxi for fighting to rebuild--not to let the hurricane win. This is what drove my stories. It gave me focus when coming up with my characters and plot. It also gave me the theme for my series: how out of tragedy comes hope. In another story I've written, Saving Hope, the story is about trying to stop child trafficking. This subject is dear to my heart. When I did my research, I became even more focused on wanting to convey the danger to young teens (some children) of being trapped in a situation they can't get out of. This helped me keep my story centered around what I was passionate about, protecting our young people. 1. What do you care about--you get passionate about? 2. How can you take that and weave it into a story that you are excited about? 3. Can I condense my passion down into a single sentence that will drive my story, keep me focused? 4. How can I craft characters who are as passionate as I am? 5. How can I take that passion about the subject and develop a plot to match it? Bio: Margaret Daley, a USA Today’s Bestselling author of over ninety books (five million sold worldwide), has been married for over forty years and is a firm believer in romance and love. When she isn’t traveling, she’s writing love stories, often with a suspense thread and corralling her three cats that think they rule her household. To find out more about Margaret visit her website at http://www.margaretdaley.com. Margaret, I can feel that you were even passionate about this article. I agree with you. The author needs to absorb the culture and emotion of the place where she's setting her story and share the goal of her hero or heroine to come true. Wonderful tips, Margaret! 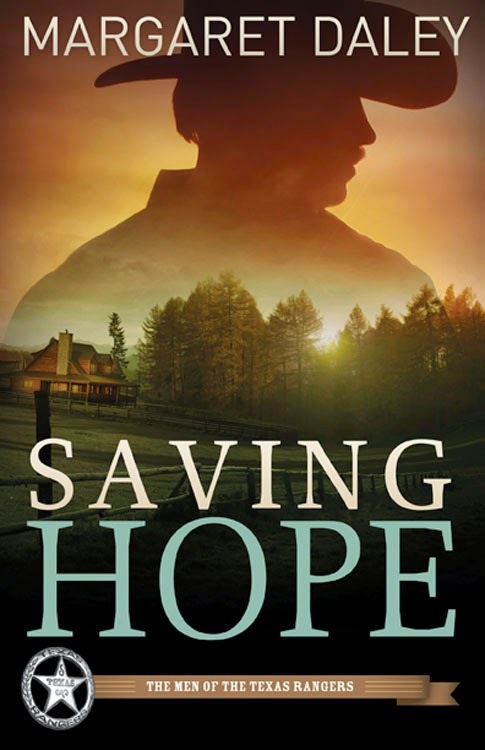 And I love the cover of Saving Hope! Great tips! And liking the new look blog, too.